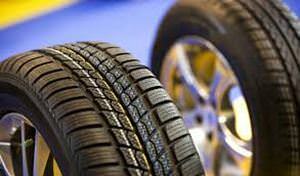 At some point after purchasing your new car, you will need to buy new tires. This process is relatively straight forward, but knowing a bit about what you need will help ensure you get a good deal. Driving on bare tires could cause an accident, but replacing your tires before it’s really needed could drain your money over time. In general, tires are considered worn when the tread reaches 2/32 inch depth. However, if you live in a climate where it often rains or snows, you will want to replace them 6/32 depth. You will also need to replace your tires sooner if you don’t get them rotated regularly as this leads to uneven wear. If you have the money, you should always buy four tires at once versus just replacing the most worn. Buying one or two at a time could save you money, but you will have more problems with uneven wear. Not only that, but most modern cars are designed to operate on four matching tires. The differences might be slight, but over time, driving on matching tires will add up to a better performance for your car. You should be able to locate your tire size in your owner’s manual, the inside of the door, the fuel hatch or the glove box, depending on your car. You can also determine the size by looking at your previous tires, where you should see a confusing-looking combination of letters and numbers on the side. First, you should see a “P,” which indicates that the tires are designed for a passenger vehicle. The next combination of numbers are the tire’s width and aspect ratio, and after that, you should see a two-digit number that indicates the size of wheel the tire can fit on. The last number you will see is the index load, which indicates how much weight the tires can carry. The last letter you will see is the speed rating. The last thing you ever want to experience is a flat tire by the side of the road, but it will likely happen at some point. If it does, you will be happy that you recently checked on your spare. It’s a good idea to inspect your spare when buying a new set of tires if you not purchase a new one. If your car is capable of carrying a full-size spare, consider keeping the best of your old tires for that purpose. Many people don’t realize this, but driving on brand-new tires can actually be just as dangerous as driving on worn tires. During manufacturing, new tires are often coated with agents that can leave a residue, affecting their ability to grip the road. This effect will completely go away after about 500 miles of driving, and it likely won’t be noticeable unless you’re driving in rain or snow. However, just to be safe, you should drive very carefully during the first few weeks of owning new tires. Now that you have new tires, you should commit to maintaining them. Many people go without rotating and balancing their tires, failing to realize that it costs them more money in the long run. Most businesses that sell tires are willing to rotate them for free, so there is really no excuse not to have this done. It’s a good idea to do it every time you get an oil change, but if nothing else, try to do it once a year.